Want to insert a beautiful 3D model that you just created or downloaded in your new PowerPoint presentation or Word document? 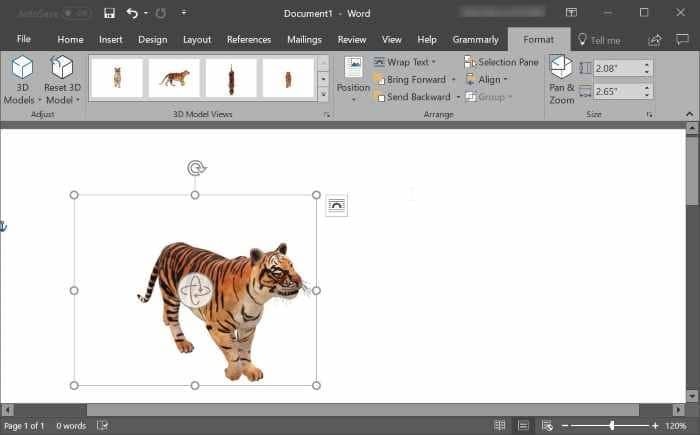 Here is how to insert 3D pictures in Word, Excel and PowerPoint programs running on Windows operating system. 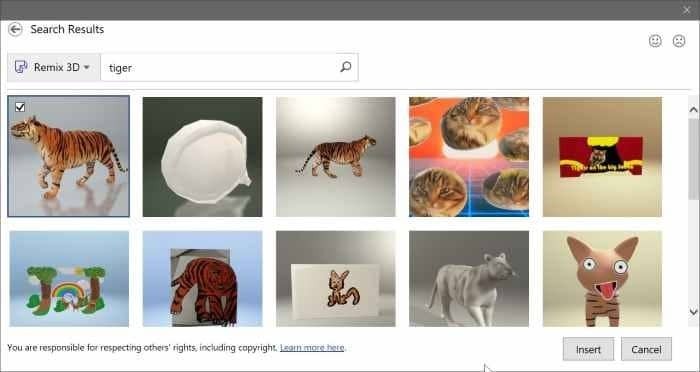 Microsoft Office Word, Excel, and PowerPoint programs now support 3D models. You can now insert 3D models or pictures just like any other picture that you insert in these programs. 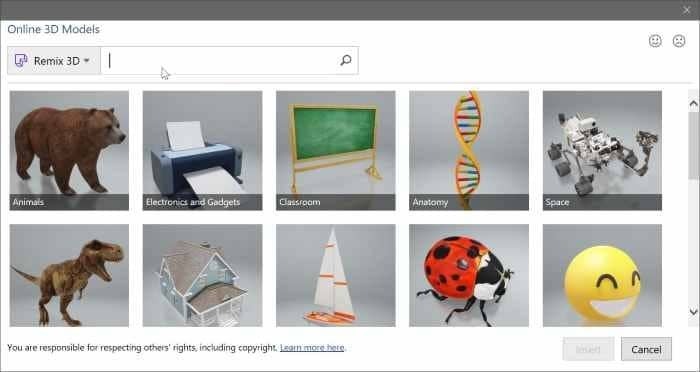 Note that 3D models are supported on Office 2016 and Office 365 only. If you are using Office 2013, Office 2010 or Office 2017, please upgrade to the latest version of Microsoft Office to get the feature. Step 1: Open the Word or PowerPoint program and open the document/presentation where you want to insert the 3D model. Step 2: Switch to the Insert tab in the ribbon area. Click 3D Models button to see From a file and From online sources options. Step 3: If you have a 3D picture on your PC, click From a file option, browse to the 3D picture, select it, and then click Insert button to insert the 3D model in the document. If you don’t have a 3D model on your PC, click From online sources to open Online 3D models dialog. Here, use the search box to search for the 3D model you are looking for. For instance, if you want to insert the picture of a tiger, type tiger in the search box and then press enter key. Note that you might need to sign-in using a Microsoft account. Click on the 3D image that you want to insert to select it and then click Insert button to download and insert it into the document. Step 4: Once the 3D model is in the document, you can rotate or tilt it by holding and dragging the 3D model. You can also use one of the preset models by clicking the Format tab in the ribbon and then selecting one of the presets. Use the Pan & Zoom tool available under the Format tab to zoom in or zoom out the 3D model. Step 5: You may now save the Word or PowerPoint document.